The Nortel BCM 50 can be expanded in numerous ways with Nortel Media Bay Modules and Expansion Cabinets . These Nortel Media Bay Modules serve a variety of Expansion requirements and can be housed on BCM Expansion Cabinets (Chassis) with various Power Supply options, including UPS and Redundant models. Expansion Cabinets are connected to the main BCM system base unit with a DS256 cable. The Nortel BCM 50 Expansion Cabinet is a compact unit that accommodates the Media Bay Modules used by other BCM platforms. The BCM50 main unit can support a maximum of two expansion unit. Expansion ports on the BCM50 are enabled through keycode. Each expansion unit is capable of supporting one Media Bay Module. 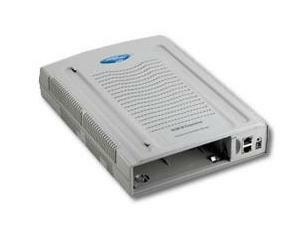 If you would like to purchase or discuss the Nortel BCM Media bay Modules for Nortel BMC 50 / 450 in greater detail then please contact us TOLL FREE at 1-855-929-9199 as we will only be too happy to help.